Guys, it’s been nearly 107 years since the fictional character of Jack Dawson died in the sinking of the Titanic. More than 1,500 passengers really did die, and that’s super sad. But while our hearts will go on, let’s not forget that the Titanic isn’t the only ship disaster worth remembering. 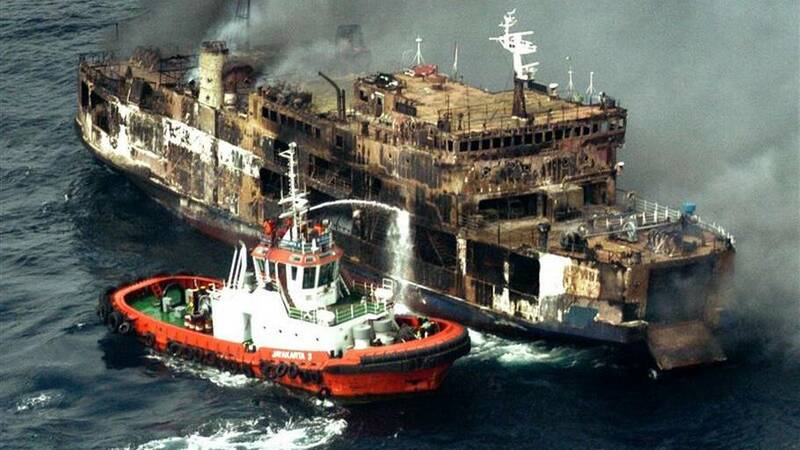 In fact, we’ve found 5 other ships that suffered equally tragic fates. Let’s call up James Cameron and see if he’s willing to make them into love stories. 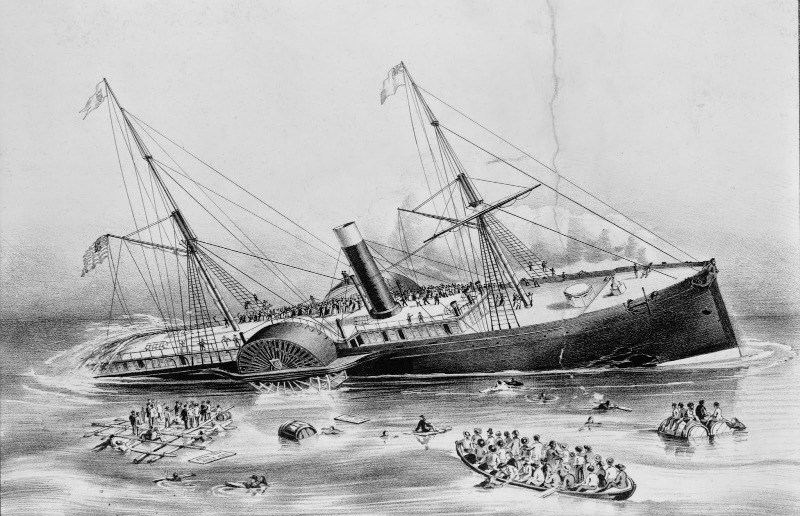 What happened: Only the deadliest maritime disaster in history. The Gustloff, which launched in 1937, was originally built as a cruise ship to cater to working-class Germans, but once Germany launched its blitzkrieg on the rest of Europe, the ship was turned into a hospital and then as a U-boat training school. The war was humming along nicely for the Nazis… until it wasn’t. By 1944, the tides and turned and the Red Army was pushing westwards towards Germany. As the Soviets reached Gotenhafen (present-day Gdynia, Poland), the Germans began loading the Gustloff up with military personnel and civilians alike in order to evacuate them to Kiel, Germany. As the ship left, it was spotted by a Soviet submarine and promptly torpedoed. Of the 10,000 passengers, less than 1,000 managed to survive. What happened: What comes to mind when you think of Canada? 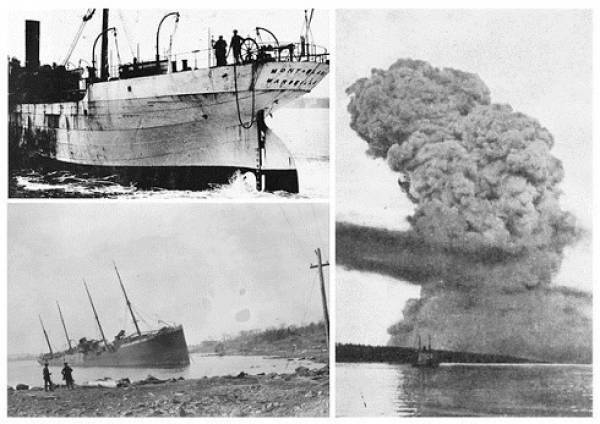 If you answered, “A land of giant explosions” I would accuse you of wildly exaggerating things…except on one particular day in Nova Scotia’s Halifax Harbor, when a collision between two ships created the largest man-made blast in history (until the atomic bombs were dropped on Japan). It went down like this: as WWI was taking place, a French ship known as the Mont Blanc was heading to Europe filled to the brim with explosives. Unfortunately, it collided with the Imo, a ship on its way to New York to load up on relief supplies to deliver to Belgium. The Mont Blanc caught on fire and a crowd of curious onlookers gathered to watch because, let’s be honest, Netflix was still around 90 years from being invented. Too bad, because about 20 minutes after the collision the fire ignited the nearly 3,000 tons of explosives, instantly vaporizing people, taking out buildings, and setting entire city blocks on fire. More than 9,000 would be left homeless. The blast even triggered a tsunami! What happened: sheer stupidity (and, admittedly, some understandable desperation). The American Civil War had just wrapped up and Union soldiers were being released from brutal Confederate POW camps. Weak and malnourished, they really wanted to get back home. The federal government would pay steamboat companies $5 per enlisted soldier and $10 per officer to transport them. Looking to make a ton of extra money, steamboat operators began accepting bribes and ignoring capacity limits. You can see where this is heading, right? The legal maximum capacity of the Sultana was 400, but more than 2,400 people were allowed on board. 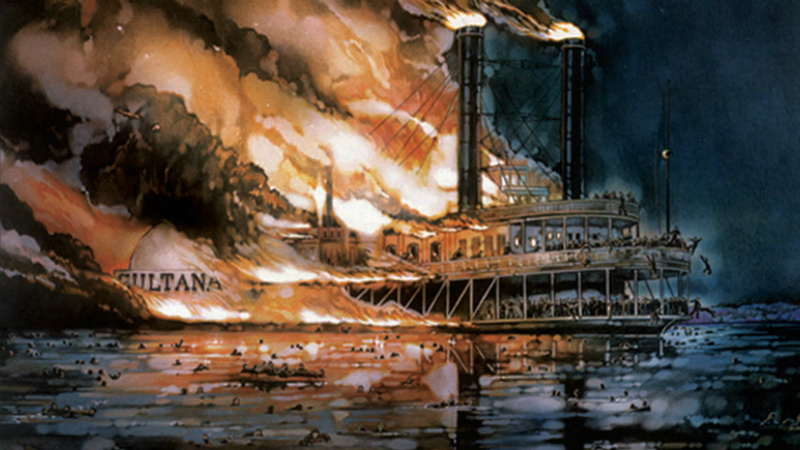 In the early morning of April 27th as the Sultana was making its way up the Mississippi River, three of the ship’s four boilers blew up, engulfing the boat in flames. Many of the passengers burned to death while the force of the blast sent others plunging into the roaring waters. Additional people jumped into the river to escape from the fire only to drown. 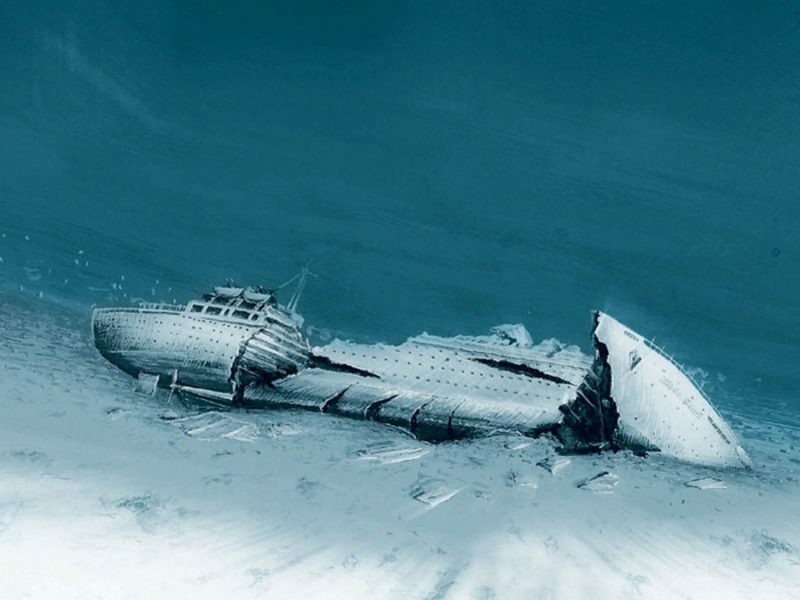 What happened: Nearly 60 years before the Titanic met its fate, the Arctic, a transatlantic ship that could sail from Liverpool to New York City in a mere nine days, experienced its own tragedy. Sailing through thick fog, the Arctic collided with a smaller French steamship known as the Vesta off the coast of Newfoundland. As the Arctic began to fill up with water and sink, the captain began to organize an evacuation of the passengers, ordering that women and children be put on the lifeboats first. But the cowardly crew and many of the male passengers made for the lifeboats, leaving every single woman and child to die once the Arctic sank. What happened: The Dona Paz, a passenger ferry boat that traveled back and forth between Manila and the Philippine island of Leyte collided with an oil tanker, causing the ferry to catch on fire and sink. All but a few of the 4,000+ passengers died as a result. Later dubbed “Asia’s Titanic,” it was believed that the Dona Paz was carrying twice as many passengers as it was legally permitted to do. Also throw in the fact that the boat was poorly maintained and operating without a license, and a tragedy like this was eventually bound to happen.